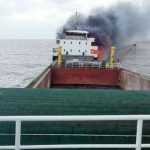 On February 3, the 99 meter long cargo vessel Shun An Lun caught fire off Zhoushan, China while en route to Fuzhou from Shanghai. 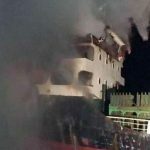 The fire started in the engine room and quickly spread through the vessel’s superstructure. 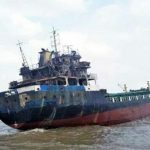 The crew was able to request for assistance before escaping the blaze by escaping to the forecastle. The 11 crew waited in the forecastle until search and rescue vessels arrived a short time later. No reports of injuries. Authorities were able to contain the blaze by the next day. 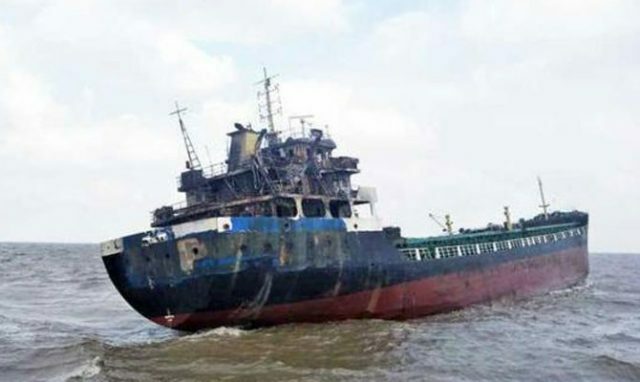 Reports state the vessel will be towed back to a nearby port.